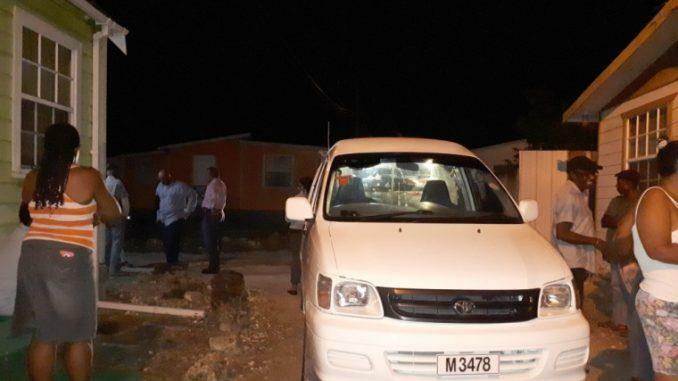 (MENAFN - News784) (BARBADOS TODAY) - This morning, 12-year-old Kristina Mayers woke up at her Hinds Road, Black Rock, St Michael home, and began searching the house for her father Hayden Mayers. Bread vendor Hayden Mayers was shot and killed at Mansion Road, Bank Hall, St Michael, while plying his trade. This was her usual morning routine. She went everywhere calling for daddy, but did not see, or hear him. Sonia, Kristina's mother, and Mayers' wife of seven years, was forced to break the news to her daughter that her dad had died, shot by masked men as he sold from his bread van in the well-populated Mansion Road, Bank Hall district. With his death, Barbados recorded its 24th murder for the year. Fifty-year-old Mayers, a bread and pastry vendor was fatally shot around 10 p.m. The deceased's wife and daughter were too distraught to speak about the man they both cherished dearly. His niece Rashida Mayers, overcome with emotion, told Barbados TODAY that Kristina was Mayers' heart, and said it was not fair that a father was taken from his daughter so senselessly while working to earn an honest dollar.